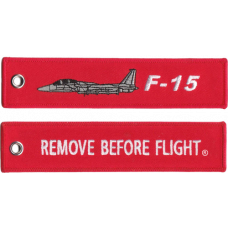 This F-15 Remove Before Flight Tag is made from a very durable polyester material, with high quality embroidering. 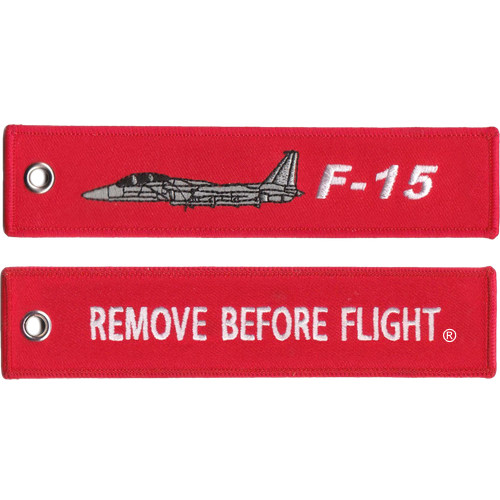 They can be also be used as zipper pulls, or a luggage and baggage tag. 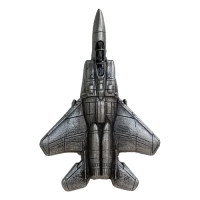 The F-15 Eagle Challenge Coin Size: 2.5" Material: Zinc Alloy Finish: NickelOptions: 3D, Odd Shape ..